There is a large selection of 100-day cruises from the US. Most depart in January to take advantage of warm weather in the southern hemisphere. One-way and round-trip departures are available out of New York, Florida and California. See the complete schedule below. Don't want the full 100-day cruise? See our calendars of 30-day cruises and 40-day cruises. January 3, 2019: 108-day cruise on Cunard Line. Round-trip from New York to Southampton, Cadiz, Athens, Haifa, Port Said, Suez, the Suez Canal, Dubai, Doha, Muscat, Mormugao, Colombo, Phuket, Penang, Singapore, Kota Kinabalu, Hong Kong, Shanghai, Tianjin, Seoul, Seogwipo City, Nha Trang, Phu My, Port Kelang, Langkawi, Chennai, Cochin, Abu Dhabi, Dubai, Salalah, Aqaba, Suez Canal, Limassol, Civitavecchia, Barcelona and Lisbon. January 4, 2019: 131-day cruise on Regent Seven Seas. One-way from Los Angeles (California) to New York (New York). Visit Hawaii, French Polynesia, Tahiti, Samoa, Fiji, New Caledonia, Australia, Indonesia, Bali, Philippines, China, Vietnam, Cambodia, Thailand, Singapore, Malaysia, Myanmar, India, Oman, United Arab Emirates, Jordan, Egypt, Israel, Crete, Italy, Monaco, Spain, Portugal and Bermuda. January 5, 2019: 111-day cruise on Princess Cruises. Round-trip from Fort Lauderdale (Florida) to Colombia, the Panama Canal, Costa Rica, Mexico, California, Hawaii, Tahiti, Huahine, Raiatea, Tonga, New Zealand, Australia, Indonesia, Singapore, Malaysia, Thailand, Sri Lanka, Maldives, Seychelles Islands, Madagascar, Mauritius, Reunion Island, South Africa, Namibia, Saint Helena, Brazil, French Guiana, Barbados, Guadeloupe and St Martin. January 6, 2019: 132-day cruise on Silversea. One-way from San Francisco (California) to London (England). Visit Marquesas, Rangiroa, Moorea, Tahiti, Bora Bora, Rarotonga, New Zealand, Australia, Komodo Island, Bali, Malaysia, Philippines, Taiwan, Japan, China, Vietnam, Singapore, Sri Lanka, Seychelles, Kenya, Tanzania, South Africa, Morocco, Spain, Portugal and France. January 11, 2019: 174-day cruise on Oceania Cruises. Round-trip from New York to Florida, Cuba, Colombia, Costa Rica, Nicaragua, Mexico, California, Hawaii, Nuku Hiva, Rangiroa, Tahiti, Bora Bora, Pago Pago, Suva, New Zealand, Australia, Indonesia, Bali, Philippines, Taiwan, Japan, Korea, China, Vietnam, Thailand, Singapore, Malaysia, Myanmar, India, Dubai, Oman, Jordan, Egypt, Suez Canal, Israel, Cyprus, Greece, Italy, Monaco, Spain, Portugal, France, England, Ireland and Canada. January 13, 2019: 97-day cruise on Crystal. One-way from Los Angeles (California) to Monte Carlo (Monaco). Visit Hawaii, Fanning Island, Samoa, Fiji, New Zealand, Australia, Tasmania, Mauritius, Reunion Island, Madagascar, Mozambique, South Africa, Namibia, St Helena, Ascension Island, Senegal, Cape Verde Islands, Canary Islands and Spain. January 22, 2019: 113-day cruise on Holland America Line. Round-trip from Fort Lauderdale (Florida) to Colombia, San Blas Islands, the Panama Canal, Panama, Peru, Chile, Easter Island, Pitcairn Island, Tahiti, Moorea, Bora Bora, Tonga, New Zealand, New Zealand, Australia, Komodo Island, Bali, Java, Singapore, Sri Lanka, India, Oman, Jordan, Suez Canal, Italy, Spain, Portugal, France, Belgium, Netherlands, Denmark, Norway, Scotland, Ireland and Bermuda. 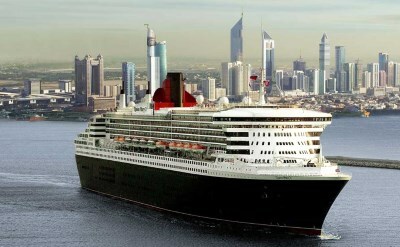 January 3, 2020: 113-night cruise on Cunard Line. Round-trip from New York to Southampton, Lisbon, Naples, Haifa, Port Said, Suez, the Suez Canal, Aqaba, Dubai, Muscat, Colombo, Phuket, Penang, Port Kelang, Singapore, Phu My, Nha Trang, Hong Kong, Bitung, Darwin, Airlie Beach, Brisbane, Sydney, Melbourne, Adelaide, Busselton, Fremantle, Mauritius, Reunion, Durban, Port Elizabeth, Cape Town, Walvis Bay, Tenerife and Madeira. January 4, 2020: 146-day cruise on Seabourn. One-way from Miami (Florida) to San Francisco (California). Visit Key West (Florida), Cartagena (Colombia), Aruba, Bonaire, Saline Bay (Mayreau), Barbados, Cape Verde, Dakar (Senegal), Banjul (Gambia), Abidjan (Ivory Coast), Takoradi (Ghana), Luanda (Angola), Walvis Bay (Namibia), Cape Town (South Africa), Durban (South Africa), Richards Bay (South Africa), Mozambique, Andoany (Madagascar), Zanzibar (Tanzania), Mombasa (Kenya), Mahe (Seychelles), Praslin (Seychelles), Male (Maldives), Colombo (Sri Lanka), Hambantota (Sri Lanka), Madras (India), Sabang (Indonesia), Phuket (Thailand), Porto Malai (Malaysia), Penang (Malaysia), Kuala Lumpur (Malaysia), Singapore, Bangkok (Thailand), Ko Kood (Thailand), Sihanoukville (Cambodia), Ho Chi Minh City (Vietnam), Hong Kong (China), Hundred Islands (Philippines), Manila (Philippines), Puerto Princesa (Philippines), Bali (Indonesia), Komodo Island (Indonesia), Darwin (Australia), Cairns (Australia), Townsville (Australia), Hamilton Island (Australia), Brisbane (Australia), Sydney (Australia), Noumea (New Caledonia), Kuto (New Caledonia), Suva (Fiji), Savusavu (Fiji), Apia (Samoa), Pago Pago (American Samoa), Fanning Island (Kiribati), Kona (Hawaii), Honolulu (Hawaii) and Lanai (Hawaii). January 5, 2020: 111-day world cruise on on Princess Cruises. Round-trip from Fort Lauderdale (Florida) to Aruba, the Panama Canal, Puerto Quepos (Costa Rica), Puerto Chiapas (Mexico), Cabo San Lucas (Mexico), Los Angeles (California), Honolulu (Hawaii), Kona (Hawaii), Rangiroa, Tahiti, Auckland (New Zealand), Picton (New Zealand), Kaikoura (New Zealand), Dunedin (New Zealand), Stewart Island (New Zealand), Sydney (Australia), Melbourne (Australia), Adelaide (Australia), Perth (Australia), Bali (Indonesia), Phuket (Thailand), Sri Lanka, Maldives, Seychelles Islands, Zanzibar (Tanzania), Madagascar, Mauritius, Reunion Island, Durban (South Africa), East London (South Africa), Cape Town (South Africa), Luderitz (Namibia), Walvis Bay (Namibia), Saint Helena, Natal (Brazil), Devil's Island (French Guiana), Martinique and St Barthelemy. January 6, 2020: 131-day cruise on Regent Seven Seas. Round-trip from Miami (Florida) to Cayman Islands, Colombia, Costa Rica, Nicaragua, Guatemala, Mexico, California, Hawaii, Marquesas Islands, Fakarava, Moorea, Tahiti, Bora Bora, Pago Pago, Samoa, Fiji, New Zealand, Australia, Indonesia, Singapore, Malaysia, Thailand, Sri Lanka, India, Oman, Dubai, Abu Dhabi, Jordan, Egypt, Suez Canal, Israel, Turkey, Greece, Italy, Monaco, Spain, Portugal and Bermuda. 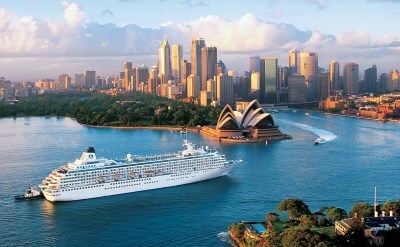 January 6, 2020: 106-day cruise on Crystal Cruises. One-way from Miami (Florida) to Rome (Italy). Visit Colombia, Panama Canal, Nicaragua, Mexico, California, Marquesas Islands, Rangiroa, Bora Bora, Moorea, Tahiti, Raiatea, Rarotonga, Tonga, Fiji, New Zealand, Australia, Bali, Singapore, Malaysia, Thailand, Sri Lanka, India, Oman, Suez Canal, Jordan, Israel, Cyprus, Greece and Italy. January 6, 2020: 140-day cruise on Silversea. One-way from Fort Lauderdale (Florida) to Amsterdam (Netherlands). Visit Puerto Rico, Barbados, French Guiana, Brazil, Uruguay, Argentina, Antarctica, Chile, Easter Island, Pitcairn Island, Gambier Islands, Tahiti, Moorea, Bora Bora, Cook Islands, Tonga, Fiji, Vanuatu, New Caledonia, Australia, Indonesia, Singapore, Thailand, Sri Lanka, India, Oman, Jordan, Egypt, Italy, Spain, Portugal, Ireland, Scotland, England and Norway. January 26, 2020: 162-day cruise on Oceania Cruises. Round-trip from San Francisco (California) to California, Mexico, Gautemala, El Salvador, Ecuador, Peru, Chile, Cape Horn, Argentina, Falkland Islands, Uruguay, Brazil, Cape Verde, Senegal, Gambia, Ivory Coast, Ghana, Togo, Namibia, South Africa, Mozambique, Reunion Island, Mauritius, Maldives, India, Sri Lanka, Myanmar, Thailand, Malaysia, Singapore, Cambodia, Vietnam, China, South Korea, Japan, Russia, Alaska, Canada and Oregon.